Did you know that Wycliffe Bible Translators holds races to raise money? Do you know some healthy, energetic people who might be interested in a fun way to shed light on Bible Translation needs? Perhaps you could send a team from your church youth group and have everyone support them. Here are some details and a link below. Wycliffe USA’s Adventure Fundraising Race with Eternal Impact! Racers: Hike through wilderness territory. Climb and rappel precarious heights. Face various challenges along the way to discover a hidden village! Race to 2025 bridges the adrenaline of adventure sport young people crave and the extreme challenge to which Jesus calls His church – to make disciples of all nations. Young people are joining the Bible translation cause-praying, advocating, giving, and going. Inspired by intense language survey trips conducted by Wycliffe linguists in remote regions worldwide, this race is hosted in the beautiful outdoors of various locations. Co-ed teams of four race against time and other teams in demanding linguistic and wilderness challenges, all in search of a remote ‘Bibleless’ tribe. Upon contact, teams share an ethnic meal with villagers, conduct a simulated language survey and race to the finish with valuable linguistic data. Prior to the race weekend, teams commit to raise a minimum of $2,000 per team ($500 per racer). These monies go to support Bible translation projects around the world. Cool prizes are awarded for the most money raised, fastest team across the finish line, and various other categories. Each night, veteran missionaries engage racer’s hearts and minds with stories of lives spent serving God in tough places, unlocking the fascinating world of language and linguistics. Are you looking for some unique gifts? 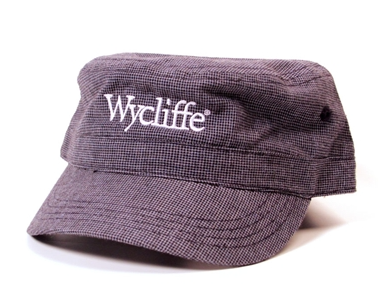 Wycliffe has a website with interesting items for sale, ranging from t-shirts to bracelets. Proceeds support Bile Translation. These would be great gifts for family or for a church function where you are highlighting missions. Click here to start shopping.